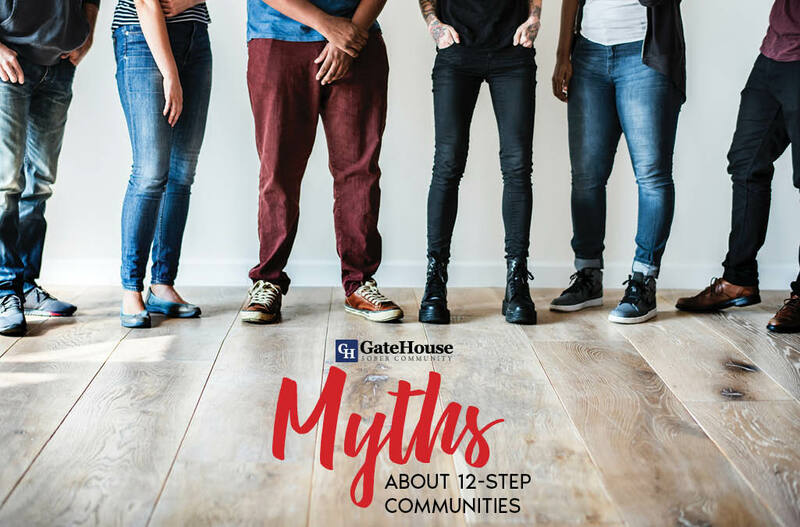 We have all heard the rumors about Alcoholics Anonymous (AA) and sober living homes near me and GateHouse Sober Community wants to talk about the myths we hear from potential participants everyday. There is a stigma that surrounds these helpful meetings, and we’re going to debunk the most common misconceptions we’re asked! They do not work. 12-step programs are actually a great solution for many suffering from addiction. Though they do not necessarily work for all individuals, programs like AA that offer participant engagement are proven to have a larger and positive impact on addictive behavior. You have to be religious. The focus of a 12-step program is to admit you are powerless to your addiction when you do not seek out help. This statement has been misconstrued to state that a participant is powerless without the help of a higher power. Admitting helplessness to addiction is the first step to taking responsibility for one’s recovery, and in some cases, includes individuals looking towards a higher power for support though many are non-believers. Both views are accepted and embraced! There is only one type of meeting. If your concern is that you are not a “group person” or believe you are required to speak, that is simply not the case. AA is one in a number of group sizes, can include more group activities than just meetings, and absolutely do not force you to speak more than your first name. The people in these programs are crazy. All people are different, but that does not mean we are categorized by “crazy” or “sane” in the world of addiction. Everyone in life faces hardships and struggles, and sometimes we make bad decisions because of it. Participants in AA are often searching for a better life for themselves, and are taking a step many are not willing to take in order to accomplish those goals. No matter your reason for seeking sober living homes near me in Massachusetts, GateHouse Sober Community has the resources for you to help aid in your recovery process. If you or someone you love suffers from addiction, give us a call today at (855) 448-3638 to learn about how we can help you.